Call it an ode to the Spielberg days of past. Label it an homage to 70s and 80s blockbusters. Compare it to E.T., The Goonies, and Close Encounters of the the Third Kind. 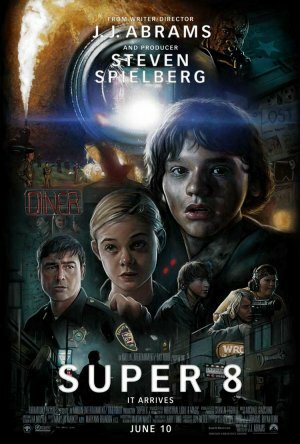 Whatever you do, remember Super 8 as more than just a nod to great movies—Super 8 is a great movie. Oh, and if you haven’t seen it—do see it—get up and go now! Is that ‘critical’ enough? Yes, I flat out loved this undeniably fresh tribute to the glory days of cinema. Producer Steven Spielberg and Director J.J. Abrams (Star Trek) have ditched mayhem-induced F/X filmmaking and have instead decided to tread sacred waters: “storytelling” that utilizes F/X-filled mayhem at no expense to character development. This is a pure bred science-fiction spectacle, and it’s impossible not to at least sink your teeth into the wonderful nostalgia. 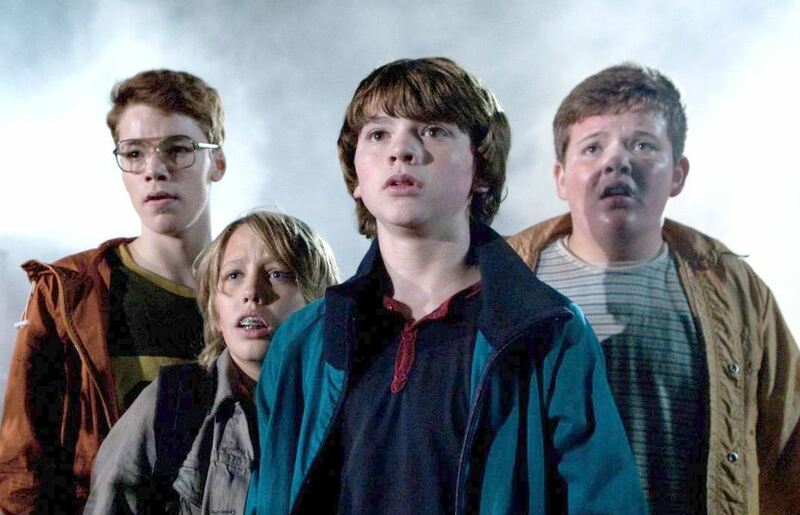 Luckily Super 8 is more than just a plate of nostalgic reflection on old school sci-fi. Abrams has unleashed a pet project of his centering on a group of elementary youngsters in 1979 Lillian, Ohio. Joe Lamb (Joel Courtney) is trying to make a movie with his pals—a zombie outbreak short film they would like to enter into a local competition. The boys find their sole actress and illegal chauffeur in Alice Dainard (Elle Fanning). Joel is instantly taken with her. Shooting the picture at a train station in the evening, the kids become engulfed in something far more terrifying than a phony zombie apocalypse. They are caught in the middle of a disastrous train crash instigated by a mad truck driver who turns out to be the students’ science teacher. The kids are shocked, scared, and chased off the scene by military troops. Joel has seen more than he fully realizes. Something escaped the rubble… something that perhaps should not have escaped. Joel and his cohorts know a great mystery and conspiracy is taking over their small town, but how will they find out what it is, and more importantly, who will believe them? A handful of people begin to disappear. Pets are fleeing to the next county. The military start to dig about the town. Several pieces of machinery seem to get snatched away. Electricity fades in and out. Joel’s father Deputy Jackson Lamb takes on the burden of watching over Lillian as the sheriff has gone missing. Little time passes before Jackson becomes as cautious and curious as his son about the sinister activity and conspiracy overtaking his home. Abrams fills each frame with such a fond love and affection for the wonder of movies. 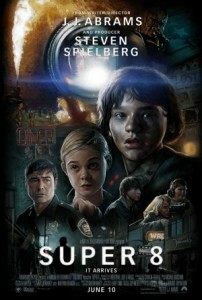 Super 8 overflows with memorable scenes and lovable characters that make the mystery and suspense of the plot all the more interesting. Never once did I feel the film’s urgency to cut to action and special effects in case things became too plodding. The reality is that Super 8 is edited to near-perfection. The scenes have been constructed tightly and crisply. The tension abounds and the scares thrill. The dialogue never seeks to simply advance the plot, but instead works to penetrate and reveal the characters. A ready supply of humor and authenticity shines through every frame as each of the young actors carry the movie. And what about these young actors? 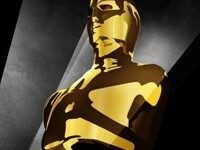 They would give most A-list stars a run for their money, particularly Elle Fanning and Joel Courtney. These two happen to be dynamite actors—convincing, convicting, believable, and consistently on their game. The film offered me a sweet little reminder that children can be just as brilliant of actors when they are the right actors under the proper direction rather than just cute faces. As a science-fiction mystery, the film couldn’t be more entertaining. If one is quick to dismiss this as a high-profile director’s attempt to simply replicate an idol’s bread-and-butter style of filmmaking, then so what? Everyone sits around and complains: “They just don’t make them like they used to.” Abrams has stepped up where other directors have shied away and delivered a movie that audiences can get wrapped up in and fall in love with. 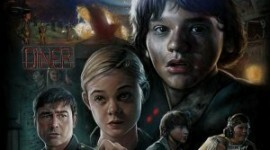 Sure, Super 8 has obvious similarities to E.T. and several other films, but I can’t fault Abrams for wanting to rekindle a dying flame. With this feature he has brought a heavy dose of spirit and magic back to cinema without beating audiences over the head with repetitive bass-booming action and special effects. He kindly reminds us that is never what it’s been about. Cinema has always been about telling good stories and utilizing the best possible resources at hand to do so. Abrams effectively demonstrates that the soul is not lost from a megawatt blockbuster, at least not while he’s making movies. Rather than a monster showcase giving up all details (a monster that is slowly but surely revealed), Spielberg and Abrams have us consider looking up at the sky in wonder as they do the same. If you are going to see one movie this season, make it Super 8. One of the best parts about watching this movie was just listening to the dialog. Having grown up with a group of nerdy friends, I turned to my wife on more than one occasion and said “That’s just how kids talk!” Granted the language was rather foul at times, but anyone who walks into a middle school for more than 10 minutes knows that this is often exactly how kids this age communicate–almost as if they learned new words from their older brothers or sisters and are now working them into their own vocabulary as a way of showing off to their friends. But beyond that, this group of friends’ constant chatter about music, movies, and getting on each others’ nerves is nearly pitch-perfect in a way that few other movies are. Well, different strokes for different folks, I guess. Boy, I’ve seen better.